Concentration camps were an integral part of Nazi Germany between the years 1933 and 1945. Without them, Nazi Germany would not have been the threat it had become. Concentration camps were a "camp" where people were imprisoned for being born into a certain family, such as Jewish, Austrian, etc. The conditions in these "camps" were harsh, much rougher than most prisons. People imprisoned were often forced to work, as well as abused. Those who were not forced to work, were put to death. The first concentration camp was built as soon as Adolph Hitler was appointed chancellor of Germany in January 1933. Hitler claimed at the beginning that it was for those who opposed the Nazi policy, but it was not long before others were imprisoned beyond their political beliefs. Eventually these "prisons" were built throughout all of Germany, Poland, and other parts of Europe. By 1941, they began to use the concentration camps to kill those who were not the ideal blond haired, blue eyed Christian. He began with those of Jewish descent. What Is the German Holocaust? The German Holocaust was a time when 6 million Jews were killed throughout all of the German concentration camps. This began due to Hitler's belief that Caucasian blond hair, blue-eyed Germans were superior to all other races. Jews, in his mind, were a very tainted race, which caused him to target this group more than any other. Hitler hoped by exterminating the Jews, only the "supreme" race would be left. Jews were not the only targets during the German Holocaust. Disabled people, Roma or Gypsies, Catholics, Jehovah's Witnesses, homosexuals, and others were also deemed unworthy races, although Jews were by far the most targeted. In 1933, Europe had over 9 million people who considered themselves Jews. Less than 3 million survived by the end of the Holocaust. Many lived in countries that Hitler's Nazi regime overtook during World War II. Many of those who survived had escaped and moved to the United States or other countries. Along with people of Jewish descent, 200,000 people with disabilities were murdered, during a "euthanasia program" that was enacted. Most of these institutions were within Germany, although some laid outside of the boundary, where Nazi regime had authority. Concentration camps were used for several purposes, although all were run by those trained by Theodore Eiche's school. Theodore Eiche created the concentration camp system, and even ran a school where he trained people towards leading them. 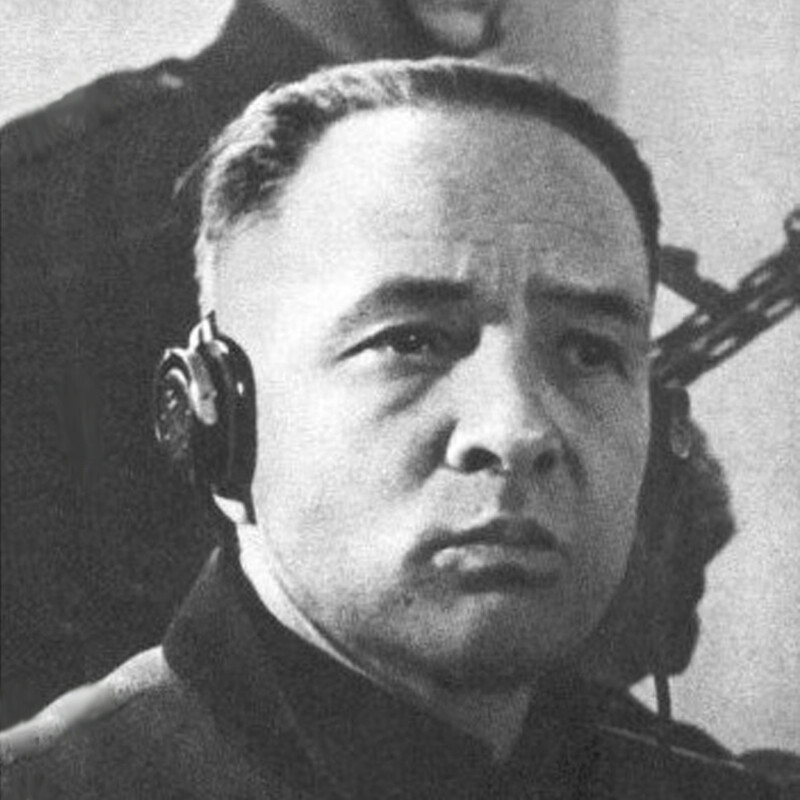 Most belonged to the Dead Head's Unit referred to as the SS's Totenkopfverbände. Many of the guards were chosen since they also attended the school. These men were trained on several different ways to run the concentration camps, although all were trained on killing innocent human beings, even those who ran labor camps were taught to kill those who had lost their usefulness. Labor Camps: Within these camps, they would sort people based upon ability. Those who were sick or disabled were immediately killed, due to their inability to work. Those who were capable of manual labor would work sunrise to sundown with very little food and water. Once a person showed signs of illness, they would be murdered either execution style or however those in charge felt was fit. Eventually, those who were brought into a labor camp would either contract a disease from those around them or die due to the extraneous labor with little nourishment. Gassing: Many concentration camps had gas chambers where they would bring a line of unsuspecting people into a room. They would then seal the room off and fill the room with poisonous gasses. Auschwitz, one of the most famous concentration camps, was set up specifically for this purpose. The gas room was actually right underneath the crematorium. 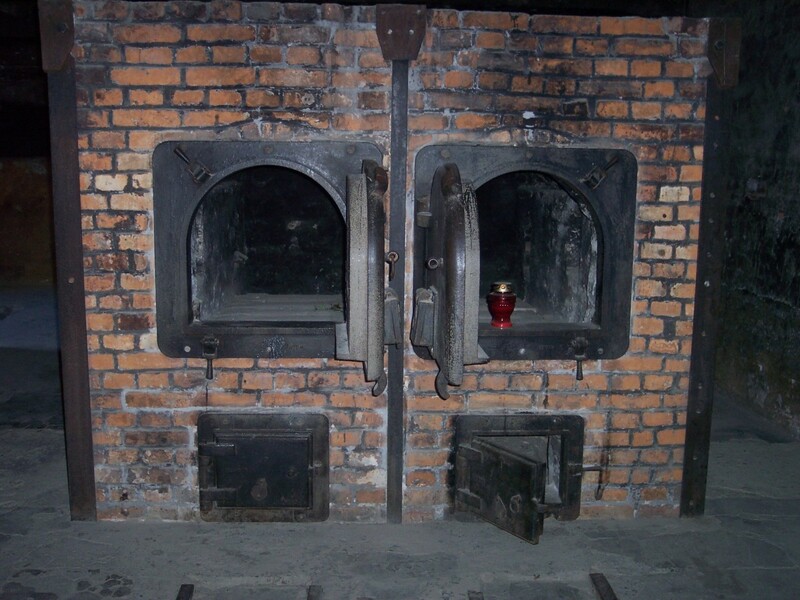 Once they gassed the people, they would send the bodies in an elevator straight up towards the crematorium where the bodies would be burned. Chelmno, the first concentration camp, used this method. Most places, in order to gas the people, would use the exhaust from a truck. Mass Shooting: Another form that SS soldiers chose to do mass killings was by shooting Jews and other groups. One notorious camp who used this method was Majdanek. On November 3rd and 4th, 17-18 thousand people died in one day through this method. It was so notorious that they even named the mass shooting, 'harvest feast,' or the German name Erntefest. Erntefest also included other mass shootings in the Lublin area. The total body count was believed to be around 40 thousand. Unfortunately, this was not an isolated incident, and this form was used in other concentration camps as well. Medical Testing Extermination: Some felt they were taking a nobler way of exterminating what they felt were inferior races. These facilities would do medical testing experiments. In order to test these medical experiments, they would give those who lived in the camps a disease, then try a cure to see if it worked. Obviously, they knew many of these supposed cures would fail, and were not disheartened by the loss of people when these cures did not work. A vast majority of the people within camps like this died of the diseases they were infected with. 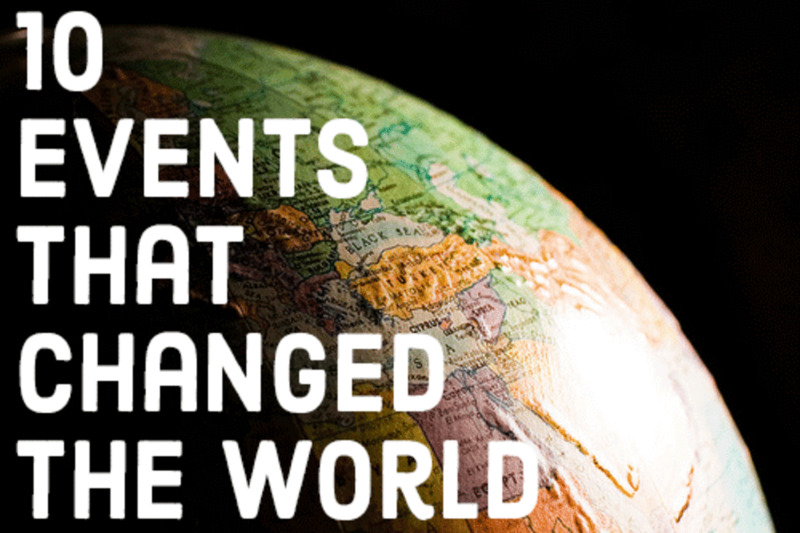 Throughout all of these medical testings, there were no cures found for any known disease. 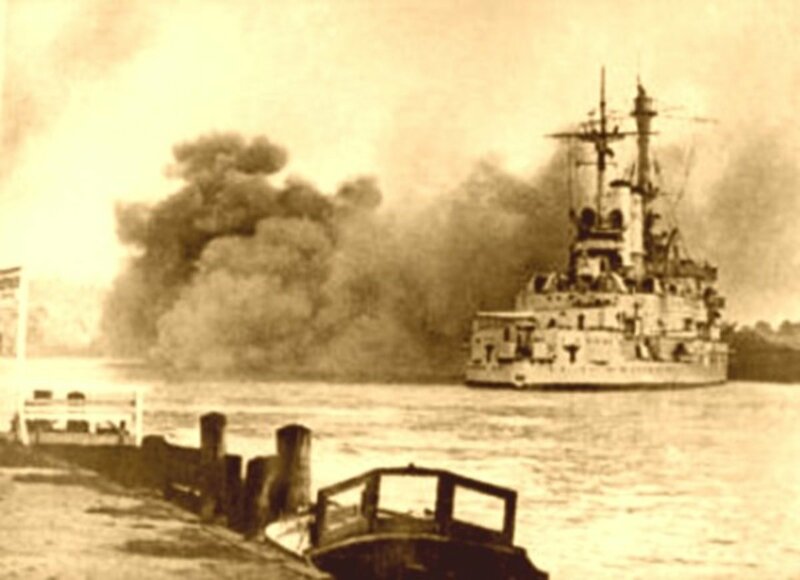 Chelmno become an operational killing factory on December 8,1941. At Chelmno they had three trucks that were specifically designed for mass murders. The large trucks had tightly sealed areas where large loads would be able to be carried, but unlike a semi that carries large loads of items, these large loads were of people, specifically those who were Jewish. They then redirected the exhaust of these trucks to enter the enclosed area; therefore, the people would die once the vehicle was turned on. 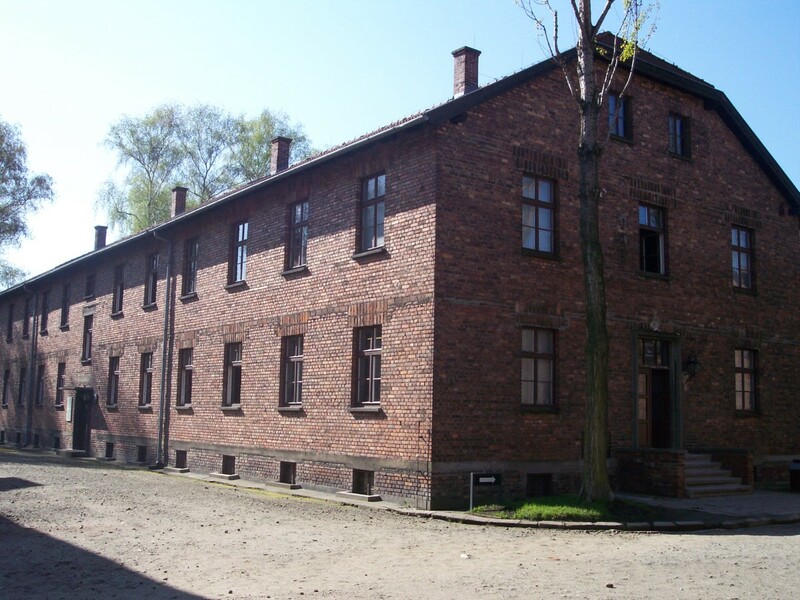 The first victims, on December 8, 1941, were Jews that lived in the Kolo ghetto. They were asked to line up near the local synagogue in front of the Jewish Counsel. They were told that they could bring one handbag only, and they were going to be taken somewhere where they would be building railroads and working in the fields. This was not the case. The men kept up appearance of good faith, asking the "workers" to place down their handbags once they arrived in Chelmno. The leaders within the camp, then numbered their bags and wrote down their names in a book. They then were told they were going into bathhouses, and asked them to undress. Instead of leading them to bathhouses, all 800 were brutally forced into the deadly vans. All 800 men, women, and children died that day. This was only the first mass murdering to take place, many more were to follow to total a death count of around 350,000 innocent people. This was just one death camp, and not even the worst. 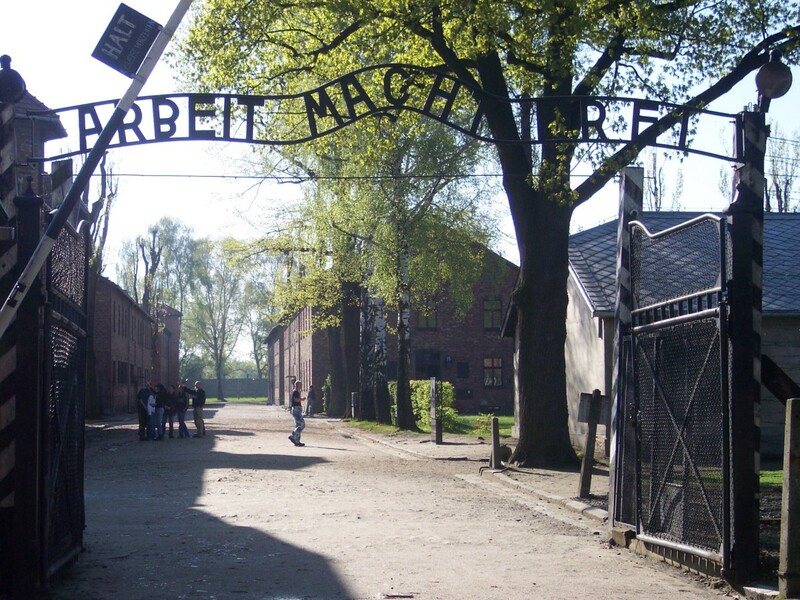 Auschwitz was the largest and most notorious concentration camp. It was made up of three concentration camps within Poland. They chose a variety of means of death from gassing to experimental testing. 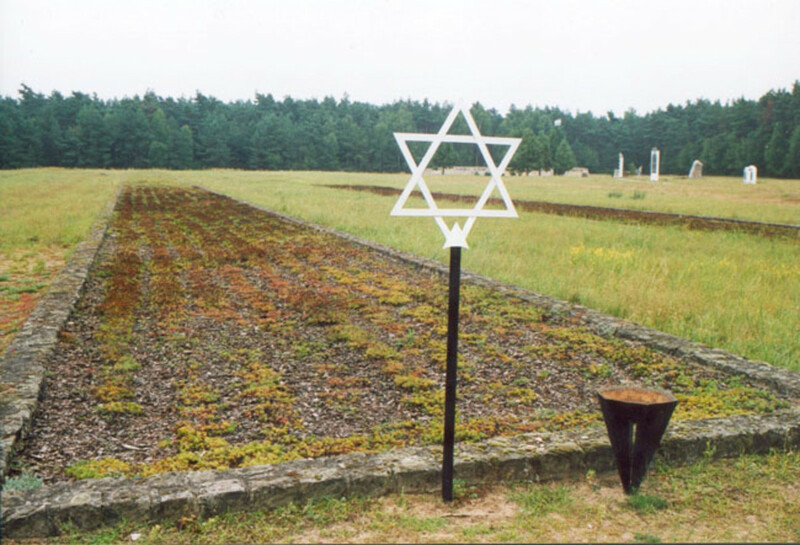 This one concentration camp took the life of 1 1/4 million people during World War II. Auschwitz's first killing was earlier than that of Chelmno in September 1941, when 850 people lost their lives, because they were too malnourished and weak to work in labor camps. 437,402 Hungarian Jews were killed between May 14th and July 8th, 1944. This all occurred in less than two months, killing more than Chelmno did in its entire working history. This was the largest single deportation of any concentration camp known to mankind. The treatment of children is even more appalling. Most children upon arrival to Auschwitz would be immediately killed. There was a camp doctor who did choose select children to be tested on. What he was testing is unknown since his main forms of testing were castrating them, freezing them, placing in pressure chambers, and testing with drugs. 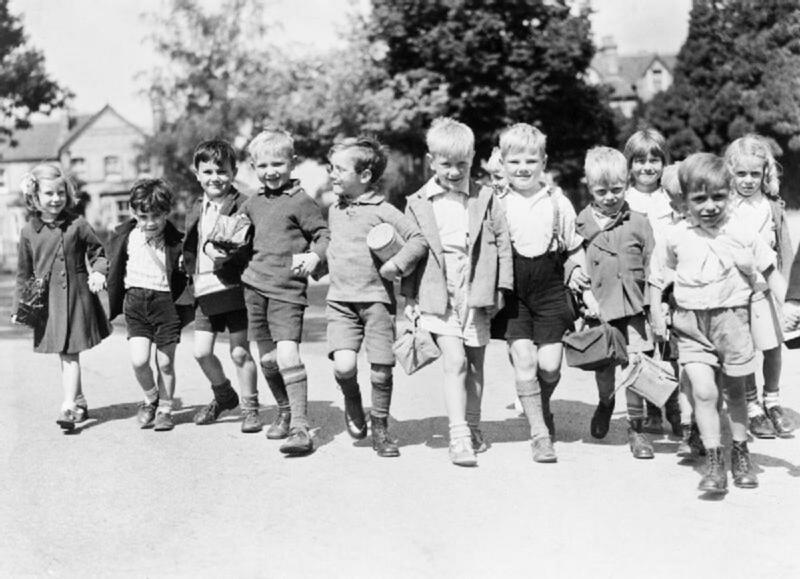 In later years, before the camp closed, they chose to "save money," by changing their procedures. Instead of killing children then cremating the body, they skipped the step of killing these children and sent them straight to the crematory alive. The stories of the German Holocaust, the concentration camps, and all the brutality is unbelievable. It will never be understood how such atrocious acts could be acted upon other human beings. The idea that these acts were organized makes it that much more unbelievable. How could so many men gather together, and make decisions on the death of thousands? How could a man go home after a day at work at a concentration camp? How could they not see that what they were doing is wrong, beyond wrong, evil?!? These questions will never be answered. Were there any kids in the concentration camps? Unfortunately, yes. Even worse, children were thought to be useless, so it was common practice to kill them along with the sickly since they could not do heavy work. Those that were above 13 years of age had a better chance of survival since they could be used for forced labor. It is estimated that 1.5 million children were killed during the Holocaust. The children that were not killed were often used, especially if they were a twin, for medical experiments that often would lead to their death. What did prisoners in concentration camps eat? According to Auschwitz.org, prisoners were given three (measly) meals a day. For breakfast, they had a half liter of what they called coffee but was actually just water with a grain-based coffee substitute. Of course, it was not sweetened. For lunch, they would get a liter of soup that contained potatoes, rutabagas, groats, rye flour, and/or Avo food extract. This was usually so unappetizing that newly arrived prisoners struggled to eat it due to disgust. For supper, they received 300 grams of black bread, 25 grams of sausage, marmalade or margarine. Due to the lack of full nutrition or sufficient calories, they would lose a lot of fat, muscle, and even their organs began to suffer. 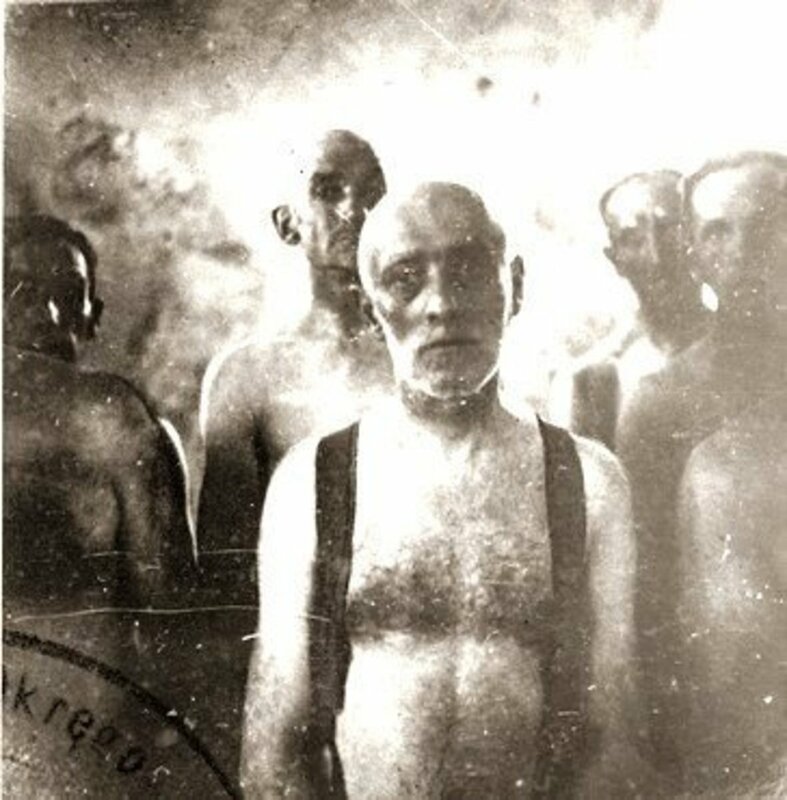 Were prisoners in concentration camps allowed to bathe? I am sure the answer to this would vary by concentration camp. Some camps used the guise of a shower room to gas a large group of people. For ones who were provided a shower, I am sure it was seldom and most likely cold. There are records that some would be given a shower when they first arrived after they shaved their heads to delouse them. That shower may have been their only shower while there. In general, the prisoners were treated as if they were animals not humans, and showers would have been rare if at all provided. How many people died of natural death in concentration camps? What other concentration camp names were there? Auschwitz and Chelmno are two of the most well-known concentration camps, but really there were hundreds. 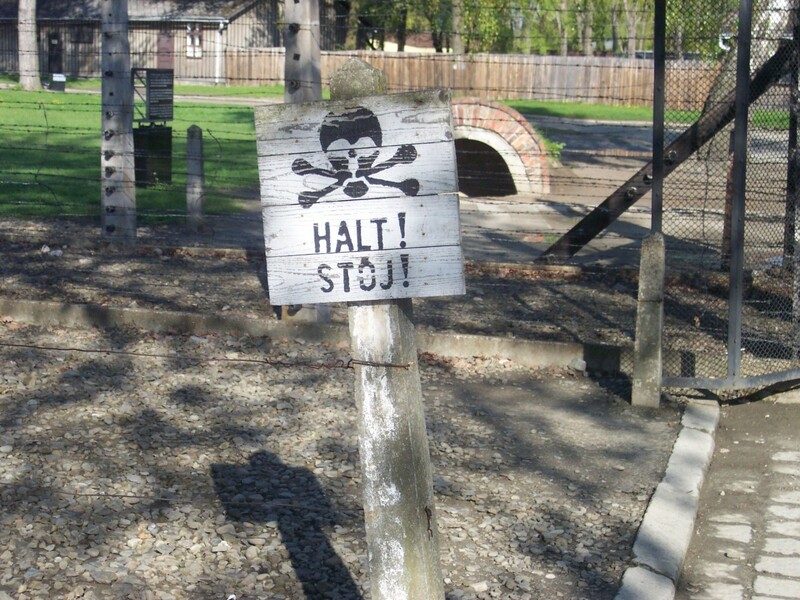 Auschwitz, Belzec, Janowska, Majdanek, Maly Trostenets, Sajmište. Sobibór, Syrets, Treblinka, and Warsaw were all extermination camps, which means they focused on killing rather than using them for labor or imprisonment. Most others were considered concentration camps, which focused on using people for labor, experiments, or plain imprisonment or they were just holding centers until a person's fate was decided. There are still many many more. Why is Hitler considered a bad person? Because his choices led to the killing, abusing, and discrimination of an entire group based on circumstances they had no control over. Gulags are not actually part of Hitler's plans for concentration camps, but rather forced labor camps that Joseph Stalin used in the 1920s to 1950s. Gulag was an acronym that stood for Glavnoe Upravlenie Lagerei. It is believed that it enprisoned 18 million people. It is believed that the camps may have actually begun by Stalin's predecessor, Vladimir Lenin during the Russian Revolution, although Stalin took it to a new level. Why did Hitler want to start a war? Did kids die in the gas chambers in Nazi concentration camps? Have you ever heard of the labour camp skrochowitz? Thank you this was so helpful on my assignment. This was extremely helpful. I was given homework needing me to gather 10 facts about concentration camps and I got almost all of them here! My english teacher set me this homework on searching for facts about concentration camps and this was the first website that I clicked into and it really helped me even though I only got 4 facts. It was also very interesting to read. This really helped with my homework thanks. What was incorrect? Which concentration camp was he in? Much of the information recorded was from survivors. very useful website for my 10th grade research paper. This is an absolute life saver for my project and I am 12 years old by the way. life saver this helped for project im 12 years old by the way. This was extremely helpful for my project. Thank you! Unfortunately, it's not unique to just that time. Stuff like that goes on in the world in other parts right now. There is always going to be somebody who wants power and willing to take lives in order to do so. That is why we need to look outside ourselves and our own country to protect those in unfortunate circumstances. Schultz, Angela Michelle. 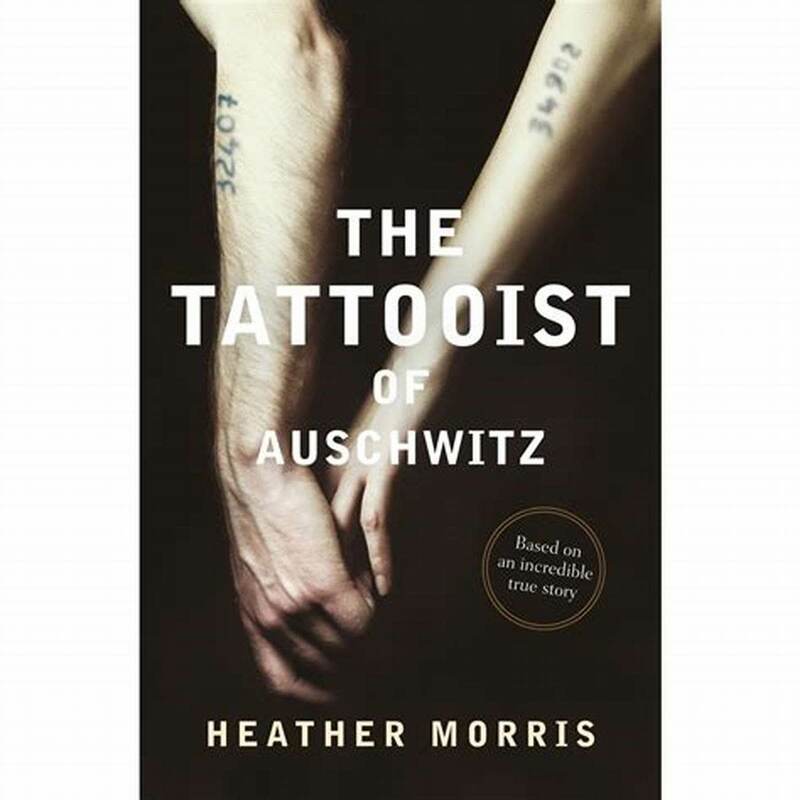 "Introduction: Interpreting in Nazi Concentration Camps—Challenging the “Order of Terror”?" Interpreting in Nazi Concentration Camps, 2012. doi:10.5040/9781501313295.ch-001. My grandmother went through this as a German. Both of her parents died because of the wars. Her house got bombed. I'm happy she made it. It was a horrible time, but if that didn't happen, it could happen today instead. We learn from our mistakes in history. WOW!!!!!!!!!!! This really put it in perspective for me! I'm glad I was able to help you. I'm sorry I could not make reading about the tragic death of millions of people more enjoyable for you. Yes, I have asked those very questions. I don't think we will ever understand, but even today, people are treated this same way, but on a lesser scale in some parts of the world. 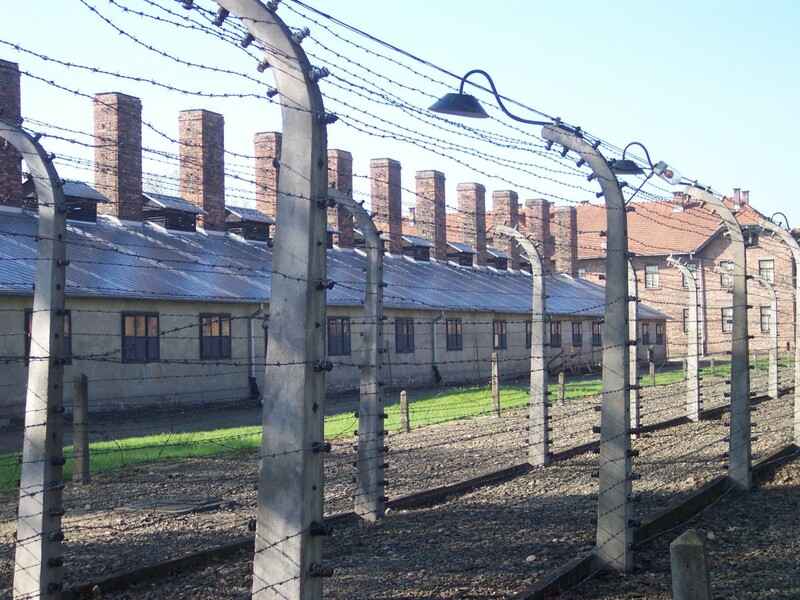 Auschwitz was the largest and most notorious concentration camp. It was made up of three concentration camps within Poland. They chose a variety of means of death from gassing to experimental testing. This one concentration camp took the life of 1 1/4 million people during World War II. Auschwitz's first killing was earlier than that of Chelmno in September 1941, when 850 people lost their lives because they were too malnourished and weak to work in labor camps. One of horrific and most brutal crimes in the history. However, it's unfortunate to see the past repeating itself again. Israel is doing the same brutality against Palestinians as did Nazi's did to Jews. I don't care what is your logic at the end your hands are red with the blood of people. Thanks so very much for the info, our school project really benefits from this info!!! This is crazy imagine this happening to us! !this would beyound crazy!! I feel so sorry for all those people that got killed they never deserved it all they ever did was be who they were and it was never there fault that they were Jews. I wonder tho how long did it take for hitler to plan this? My gosh hopefully all these people are in heaven. it seems like this was done so easily. how in the hell does someone get to be in charger of around 6 million deaths and still be able to stick with what he believes in and not have any care in the world of what he was doing and how it was flat out wrong and fucked up. so many people lost their lives, why did they do this so much? This is so sad, bug didn't Hitler have a Jewish mother and a German Father and didn't Hitler have brown hair brown eyes so in a way if Hitler was not in charge of this he would most likely end up dying. Hitler also was an artist believe it or not. But after he didn't get accepted into art school he turned into a mental maniac. But this is so sad to think about imagine if your parent were killed and you and your younger siblings were the only ones in your family still alive. Or knowing that you were about to get cremated ALIVE! Just thinking about this makes you wanna puke. Hitler was a horrible man killing gays disabled Jews and Jehovah's Witnesses. Despicable. This is truly heartbreaking and depressing. It brings tears to my eyes to even think of something like this. No human being should ever go through such torture...especially from another human being. This site is an eyeopener to all other cruelty that exists in the world. This was a great site which helped me look at the world a tad bit differently. i really felt bad for what happen i don't think Jews should've deserved what Hitler did. I often wonder about the hundreds of people who brought out Hitler's genocide and how they could have done it. It's very good information,Thank you. It's sad that it happened, Hitler was a very evil man and how someone can be that evil i dont know, I believe that he was possessed by satan, thats the only way to explain it. Its very sad what the Jews had to go through, but not just the Jews but also gypsies,the mentally and physically disabled ...ext.I'm just glad God got them out of that. He is so good all the time and all the time he is good. And it is sad how long it took the United States so long to get involved. That is just sad. I pray for the people that went through that and people that lost loved ones from that. And that is still happening today but with christians. It is sad and I'm praying for them and that isis get taking out. Lets put an end to it once and for all. Christ is coming very very soon be ready get your life's right let people get to know the lord and pray for them that is our missions as christians. Jesus loves us all!!!! Terrible to read of the horrible conditions in these death camps. Thanks for keeping the flame of the victim's spirits alive through this hub! Very sad and disturbing facts about the conditions inside the camps. We've had the chance to visit the Holocaust Museum in DC, and it is truly devastating. Let us never forget. Some people have trouble believing that there are really truly evil people. A very good hub, even though it is horrible and very sad. There is a group of people who deny concentration camps ever existed. I just don't understand them. Good info such sad moments in ww2 should be remembered. Wonderful information helped a lot and such sad days. Great information about a horrible part of history. Voted up. That you Levertis Steele, you make some really good points. With my articles, it is often hard not to share your opinion and give a very objective look at things that happen. But when something to this extent happens, you want to share it, but emotion brings out a lot of how you feel. The awful part is that it was more than just the act of one man. So many were part of Satan's plan of destruction. Angela, I extend compliments to you for a job well done. Did Hitler have blonde hair and blue eyes? Did Hitler know that the Jews were God's chosen people to spearhead His message to the world? Was part of his agenda designed to get rid of people, namely God's chosen, because they seemed supreme, by God's design, over him and the people he decided were supreme? If he wanted to narrow the population down to blonde hair and blue eyes, why did he not gass himself? Hitler was a psycho but not a dumb psycho. When I see people that Hitler wanted to gass say, "Heil Hitler!" I feel sorry for them. Don't they know that he would have lined them up to be gassed or shot execution style after starving nearly to death? You wrote: "The stories of the German Holocaust, the concentration camps, and all the brutality is unbelievable. It will never be understood how such atrocious acts could be acted upon other human beings. The idea that these acts were organized makes it that much more unbelievable. How could so many men gather together, and make decisions on the death of thousands? How could a man go home after a day at work at a concentration camp? How could they not see that what they were doing is wrong, beyond wrong, evil?!? These questions will never be answered." These killers were possessed and controlled by Satan who had then, and still has, a well-planned program. Only ONE is able to conquer Satan, and He has already won the war, although Satan is still battling! Some of the stories though, I wish I did not know. It's a painful part of our history s humans. I would never had thought of those things as necessities, but I can see why they were necessities at that time. Interesting. my girl sara, that is really sad. Imagine you may have had a cousin or someone that you grew close to if they had not been murdered. It makes you wonder how your life would be different if no one hurt them. angela_michelle, in answer to your question -- Mena was a little girl when she was in the concentration camp with her mom. Her mom died there. Mena could only remember things in an innocent way. She died 20 years ago. I remember her telling me that if the world ever gets really bad again -- remember the two main things you need. She said try to have any kind of oil to cook with. She could recall surviving on grass and weeds, fried up in oil, when she was starving in that concentration camp. She said the other most important thing to have is a thread and needle with you. Clothes can be threadbare and needing weaving in and out to keep one covered. She said these important items were often used for trading temporarily -- bartering for bits of other things. Thanks for asking. Wow Pamela, I'm sorry you read too far. Did the sweet lady ever tell you stories about the concentration camp, or did she not like talking about it? The PracticalMommy, yes I remember learning about it in school, yet I was completely shocked at the details I learned when researching for this article. I read a few factual books on this subject 30 years ago. After three or four books I decided that would be all. I have read most of this hub. I appreciated your warning and I should have stopped a line or two before I did. You have done so much research. What a difficult subject for you to delve into. As others have said, we must never forget and we must protect our freedoms. Also I did have a friend many years ago who was about 25 years older than me. 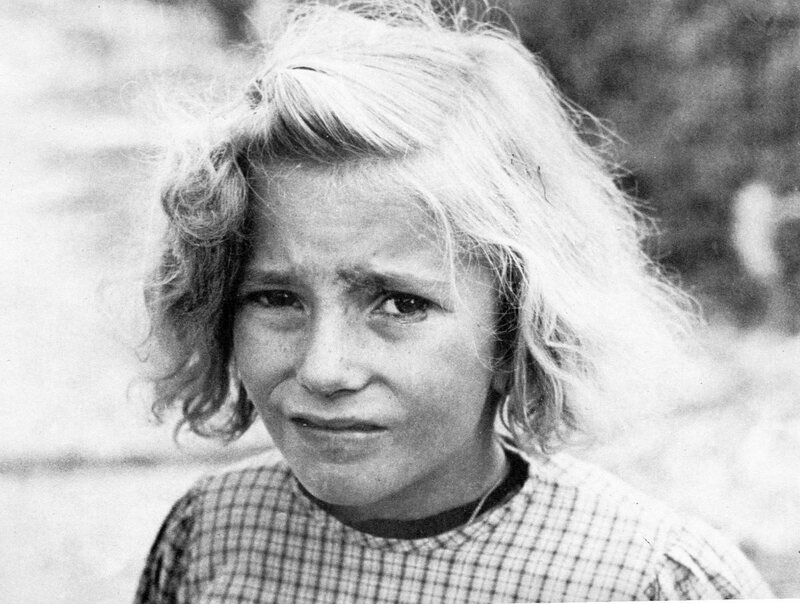 She had been in a concentration camp for a couple of years when she was young. She was one of the humblest, sweetest women I have ever met. This is such a sad part of human history. Your hub was well researched! I had to teach some of this to my students before we read Anne Frank, but I could never give these kinds of details to them. Thank you for a reminder that is necessary to prevent atrocities such as this from happening again. Good work! LOL, I will check it out! By sheer coincidence (maybe? ), I mentioned both the Holocaust & Corrie ten Boom in my most recent Hub. 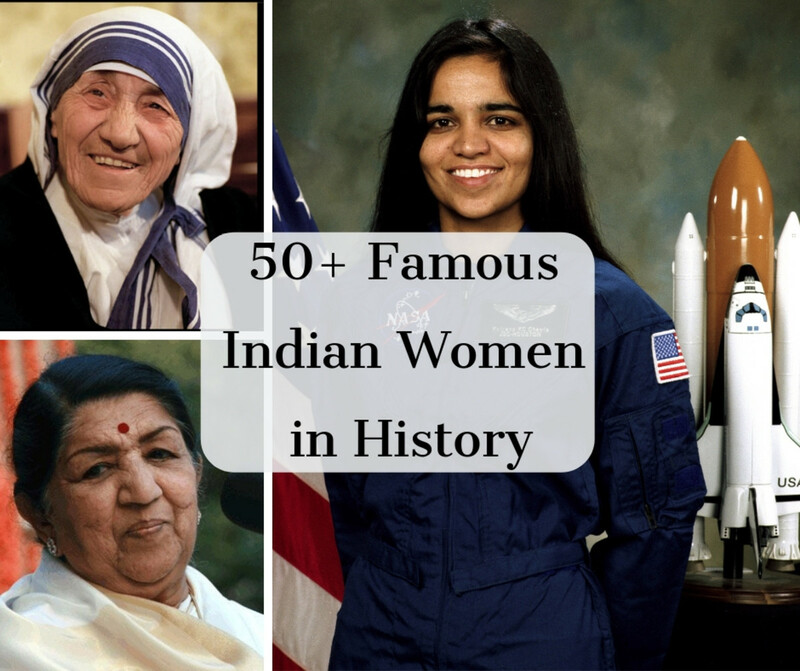 Although they are not the main topic of the Hub, you might be interested in the story. Forgive me for the shameless self-promotion! Chrissieklinger, that's neat that they dress like CorrieTenBoom and does a presentation. That seems like it would be great to go see. Barbara Kay, I should look that book up. It sounds like it might bring some good feelings towards this awful event. adawnmorrison, I am only just beginning to study about it. It's definitely not something you can spend too long of periods studying.I think you would become sick. Wilderness,you are right. I don't know if I could handle seeing it in a museum setting. With the research articles I looked into, I got to choose when I had had enough. The most disturbing was reading the reports of specific concentration camps, which is why I stopped at two. I did have quite a few more at the beginning, and once I read how children were treated in order to save money, I felt sick, and had to quit reading. I never knew they had a training program for the concentration camp system. Great article on a difficult subject. @BarbaraKay...there is a person who dresses like CorrieTenBoom and does a presentation. She came to our church this year and was wonderful!!!!! Angela, You should read the book by Corrie Ten Boom called "The Hiding Place." She was a Christian that hid Jews and when caught was imprisoned herself. God used that time and she survived. This hub is a job well done. Thanks for writing it. After 25 years of studying the Holocaust, I still keep learning (or being reminded of) facts that are unknown to me, and every story is more horrific than the last. Thank you for writing this. Lest we forget. I once visited the holocaust museum in Wash. D.C. and while I'm not sorry I went, I never had a desire to return. As gruesome as your report is it is but a pale image of that museum. The depravity and evil inherent in those that ran the camps in absolutely unbelievable and cannot be understood by normal people. We must never, ever forget those camps and your hub, while hard to read because of the subject, is a step in the right direction.